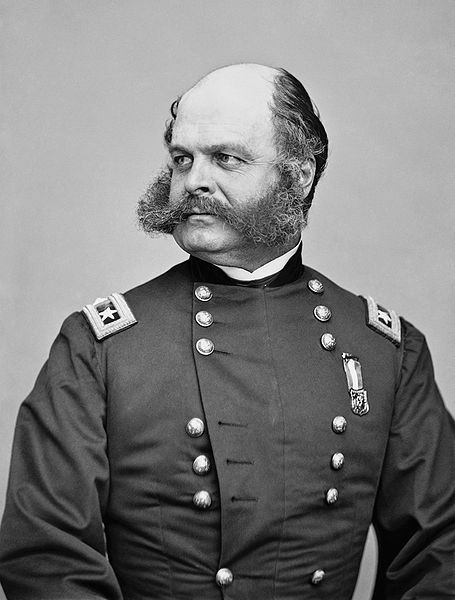 Mentioned within that little ditty is a man by the name of General Ambrose Burnside. While once a sucessful military mind, he’s most well known these days for complete fuckups. Oh yeah. And his facial hair. It's okay to cry. Greater men that you have swept at those beauties. Yes, sideburns are named after that proud specimen of a man with facial hair. This drink is our little tribute to this man’s addition to modern fashion. Combine ingredients in a cocktail shaker, shake well and then strain into a chilled cocktail glass. Serve. This is powerful, and can weigh you down, but I’ll be damned if it’s not tasty.